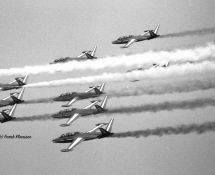 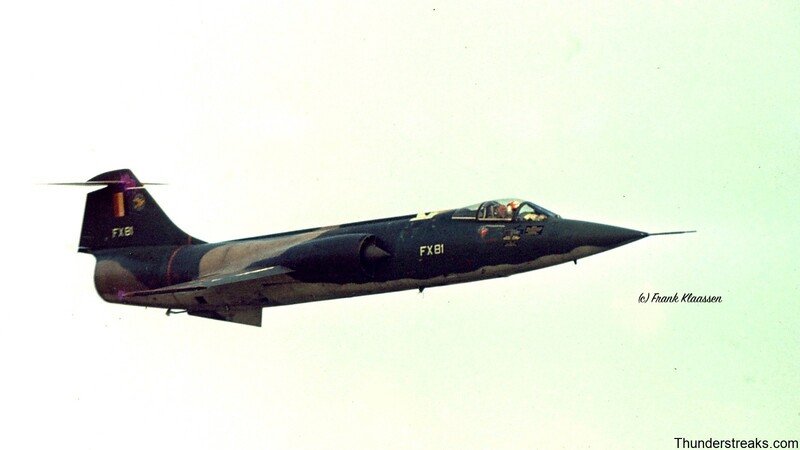 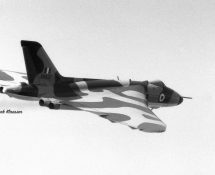 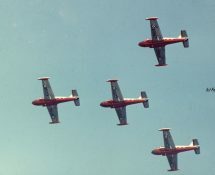 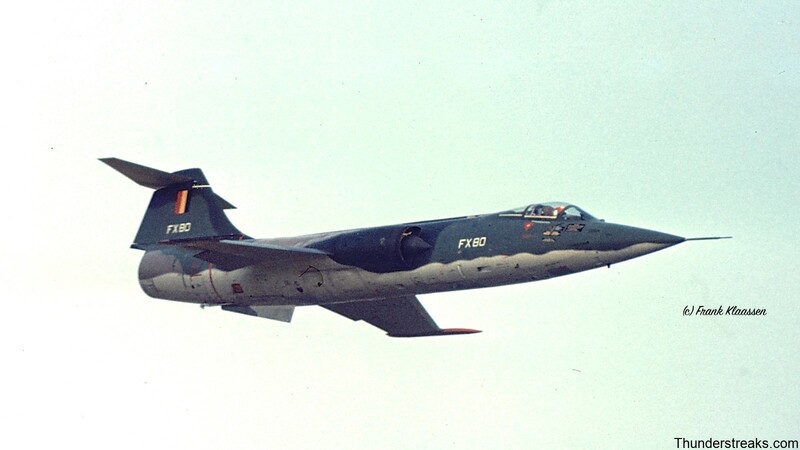 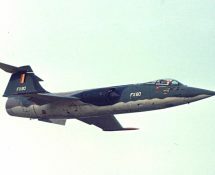 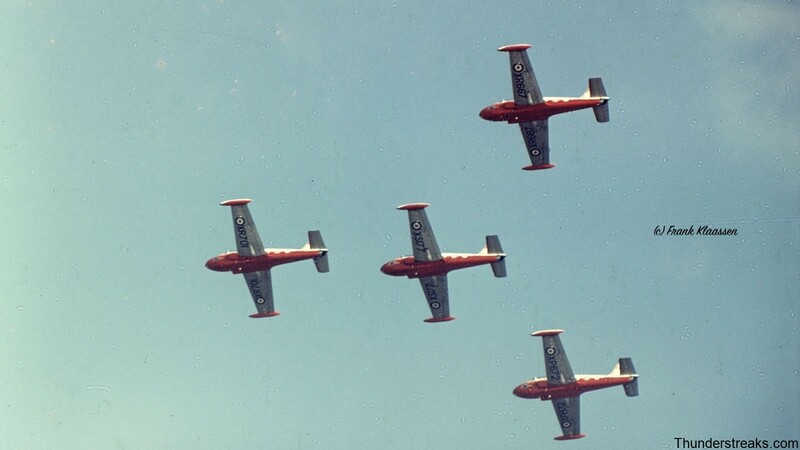 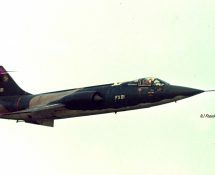 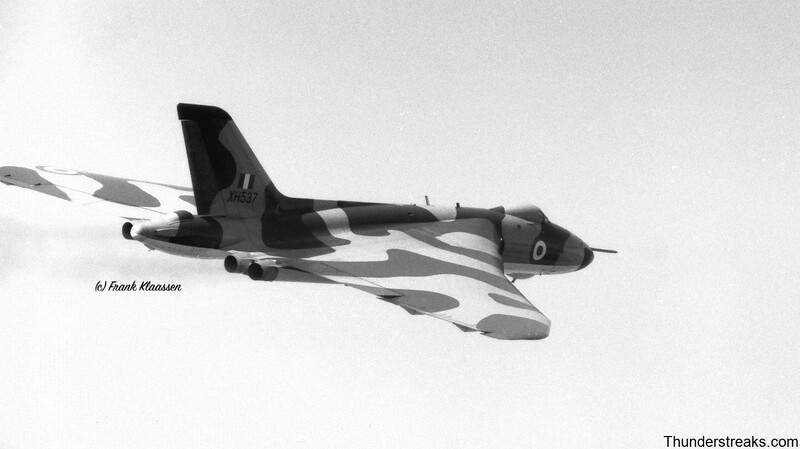 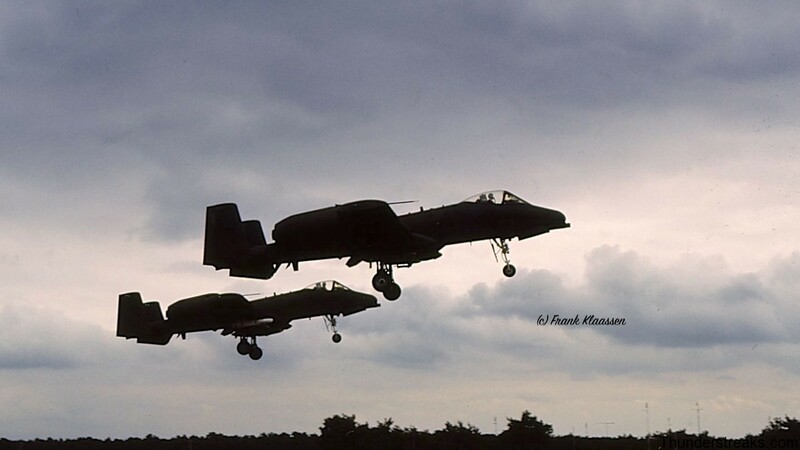 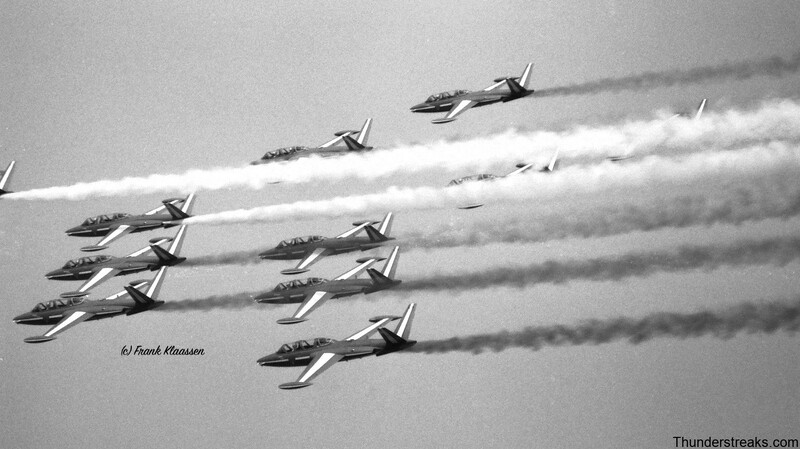 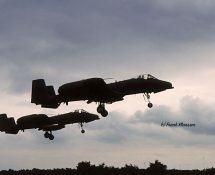 The organizers often managed to contract famous aerobatic teams (Slivers), fighter aircraft (Lightning, A-10) and even heavy bombers (a Vulcan!). 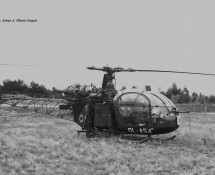 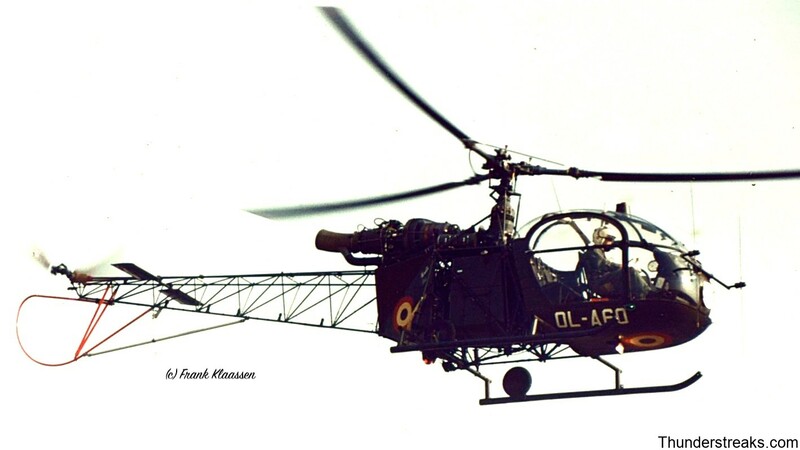 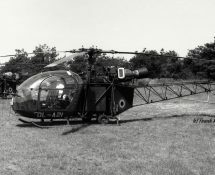 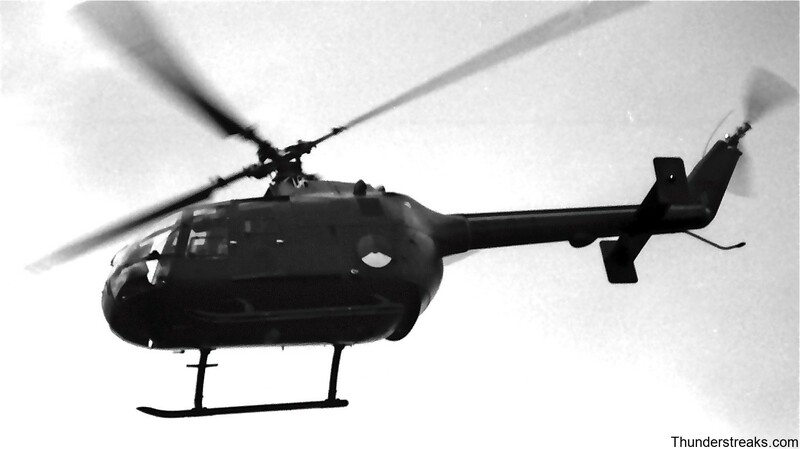 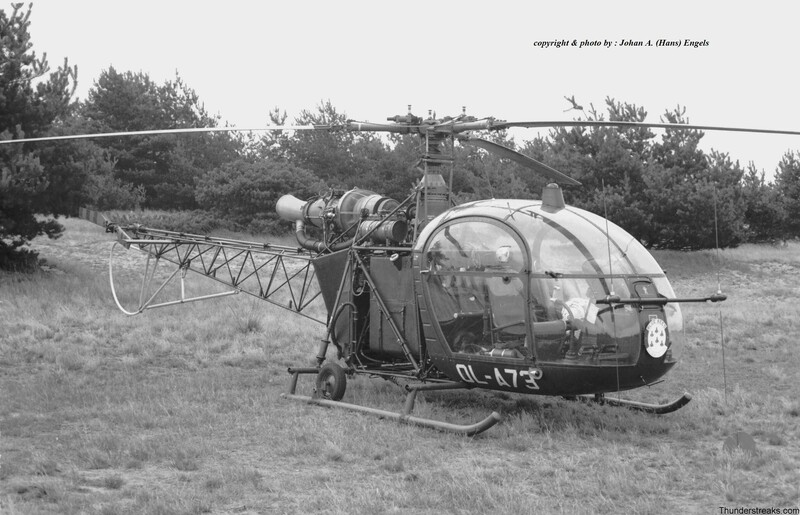 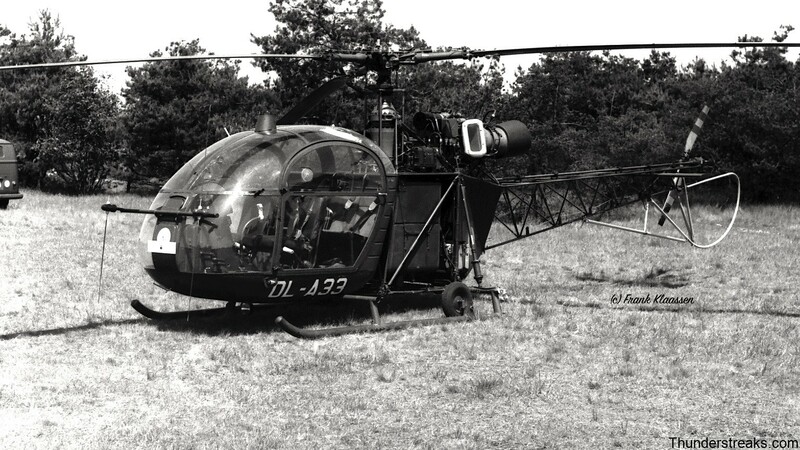 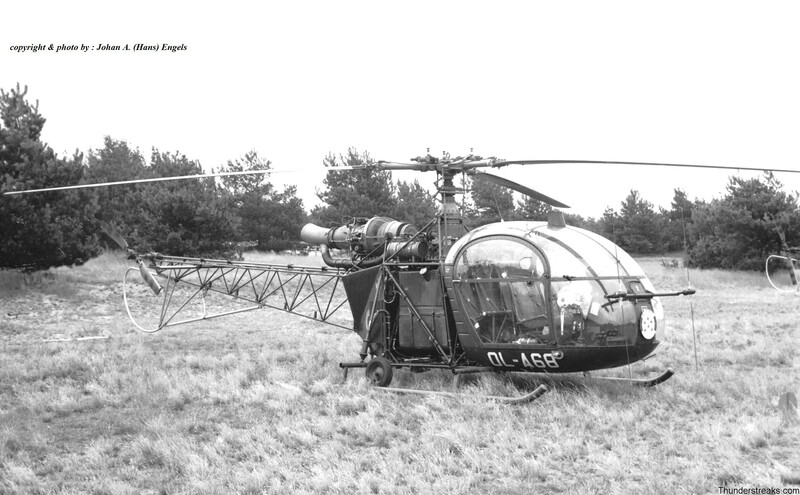 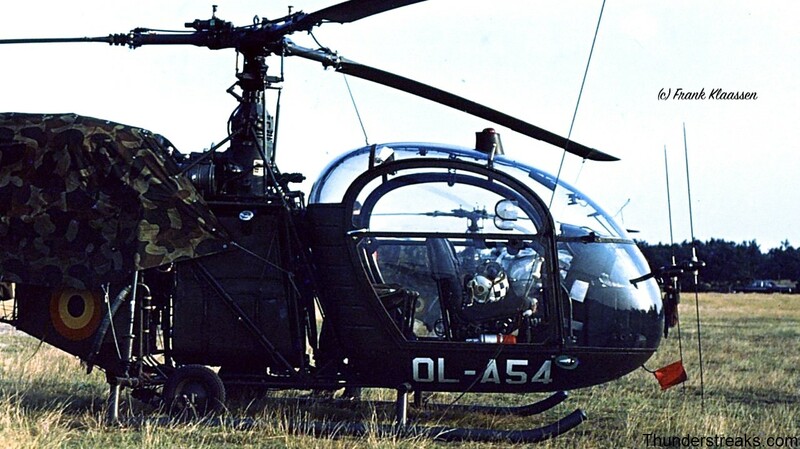 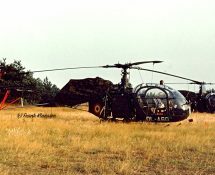 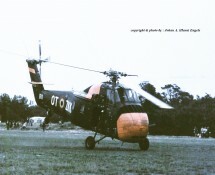 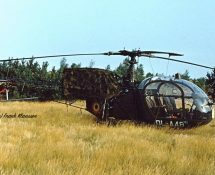 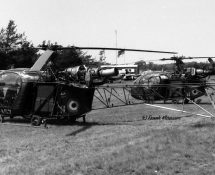 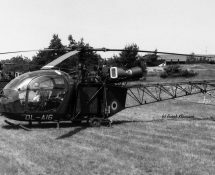 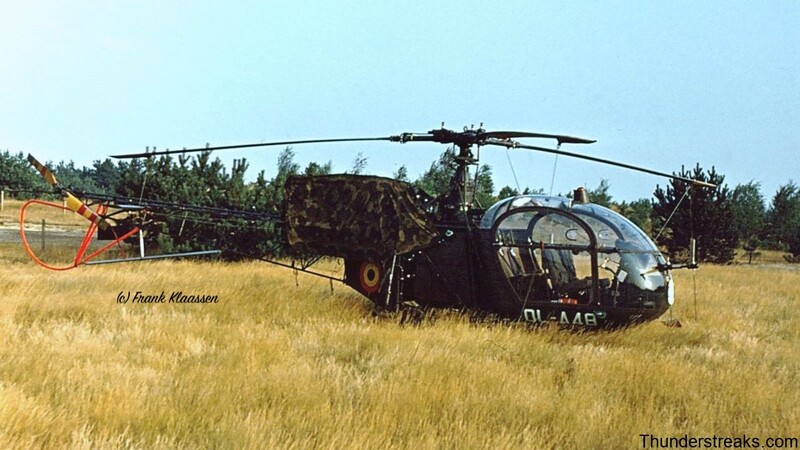 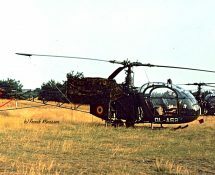 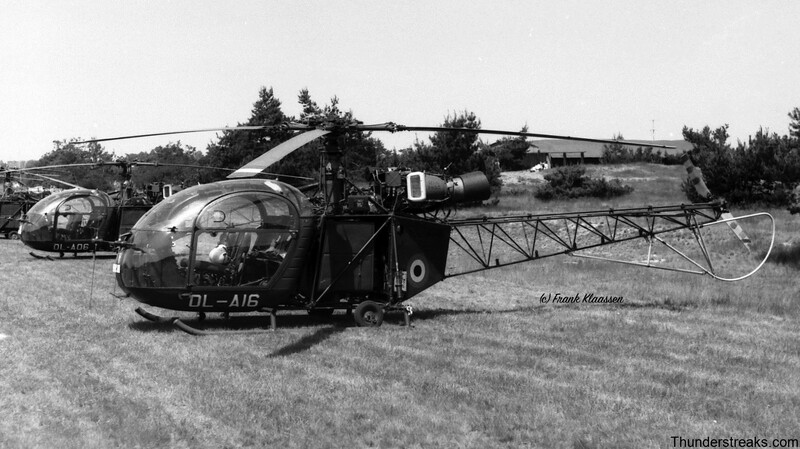 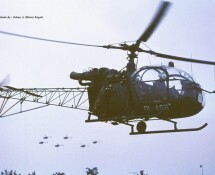 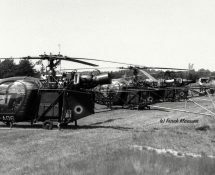 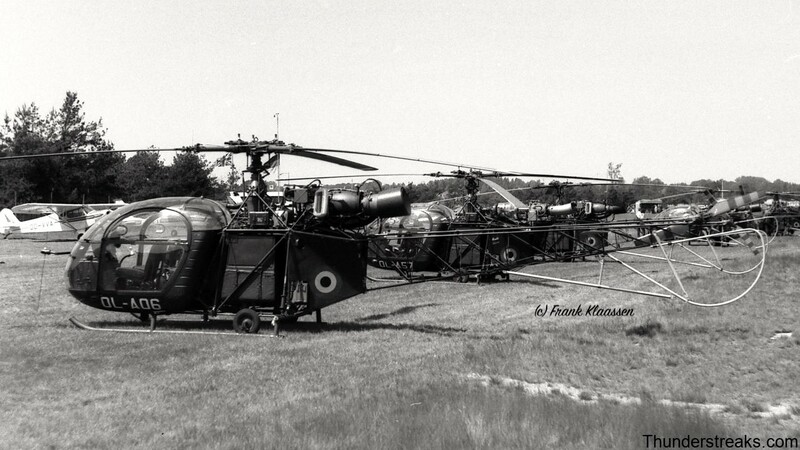 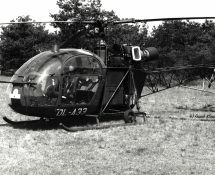 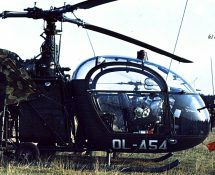 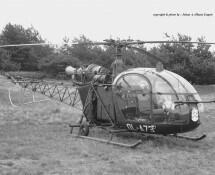 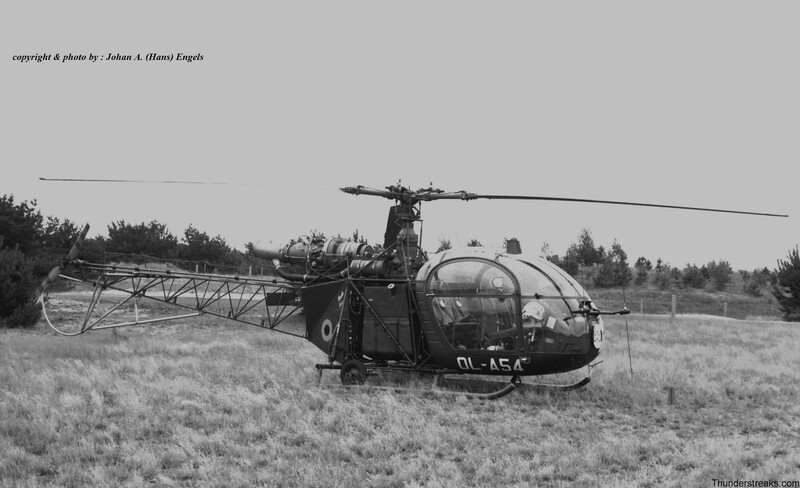 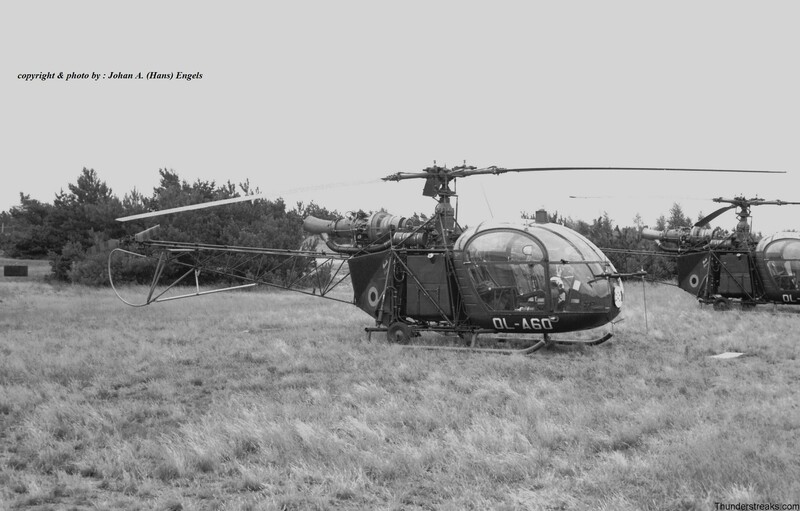 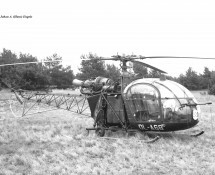 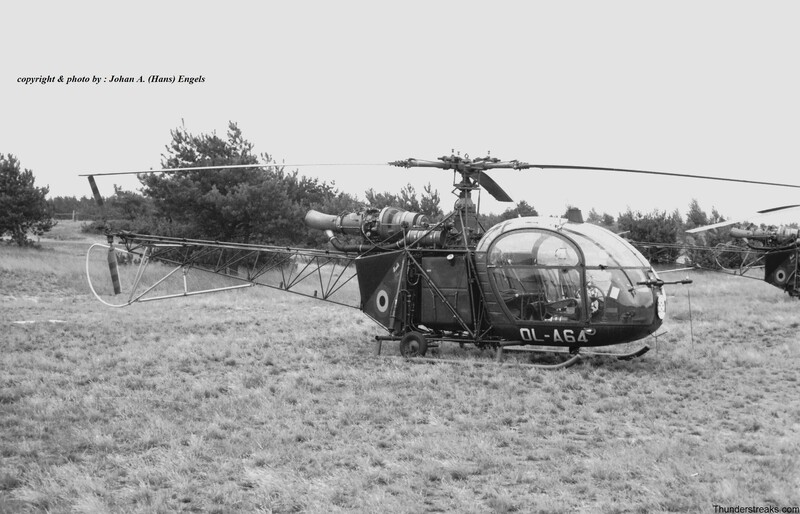 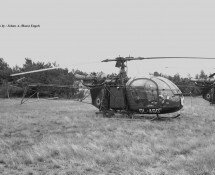 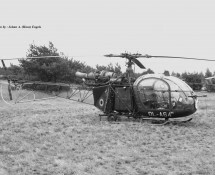 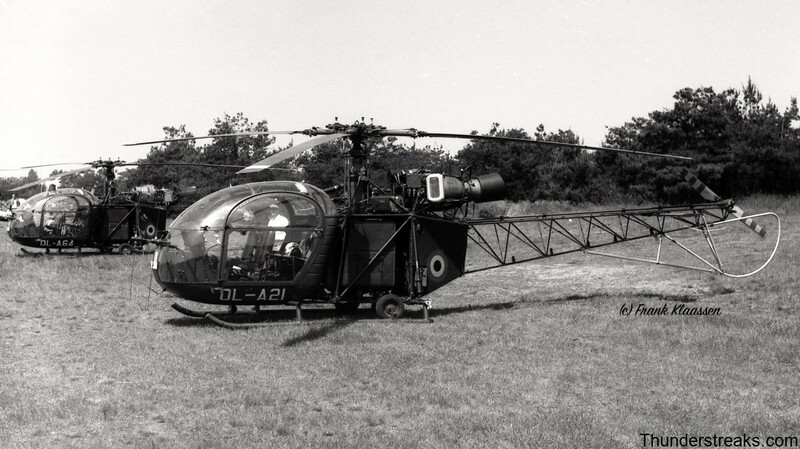 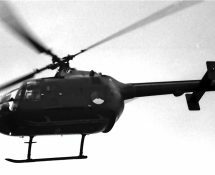 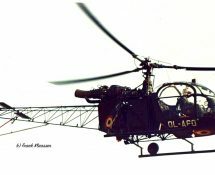 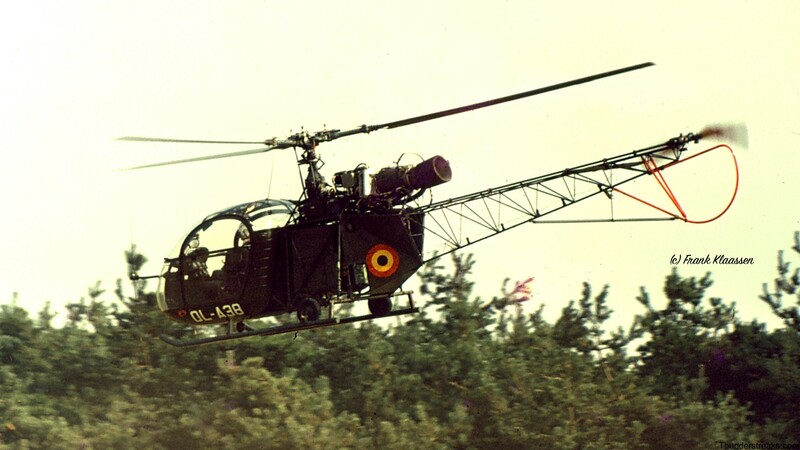 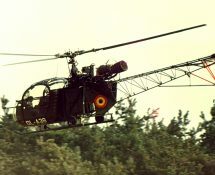 Also the Blue Bees -an Alouette equipped heli team of the Belgian Aemy, at that time based in Germany- were regular performers. 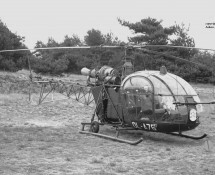 The pictures shown by Hans are all from the August 1971 edition. 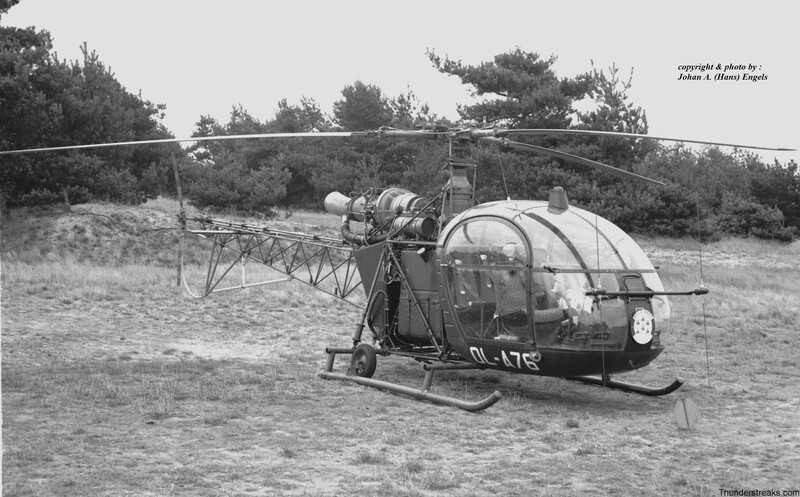 Those made by Frank were taken in earlier and later years. 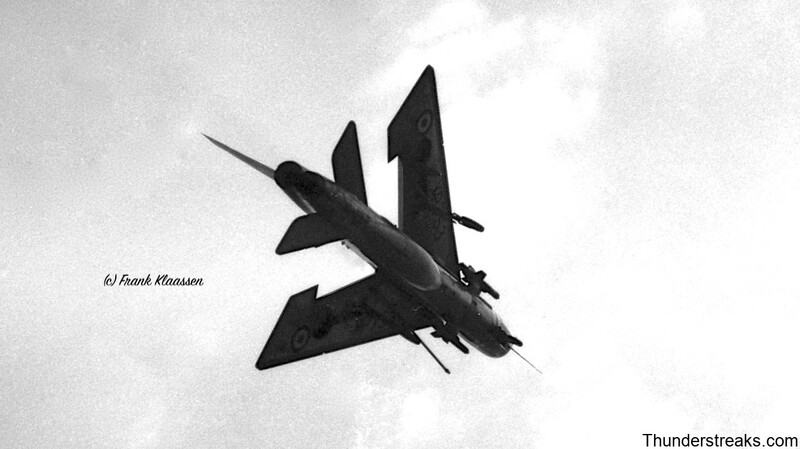 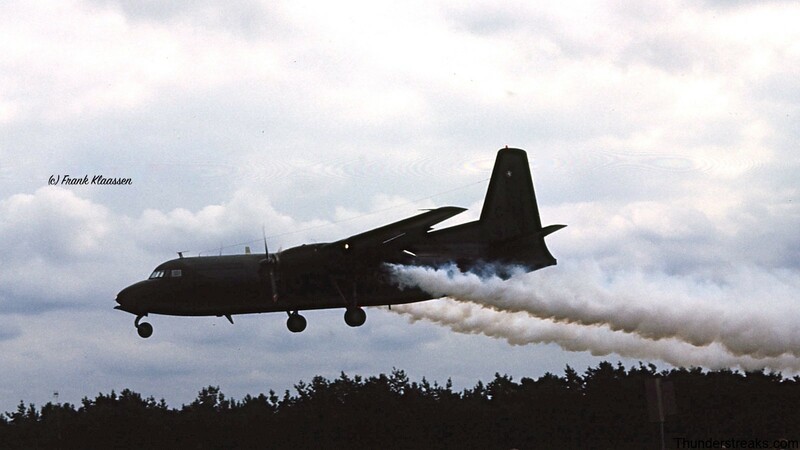 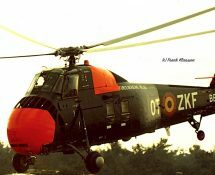 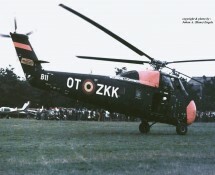 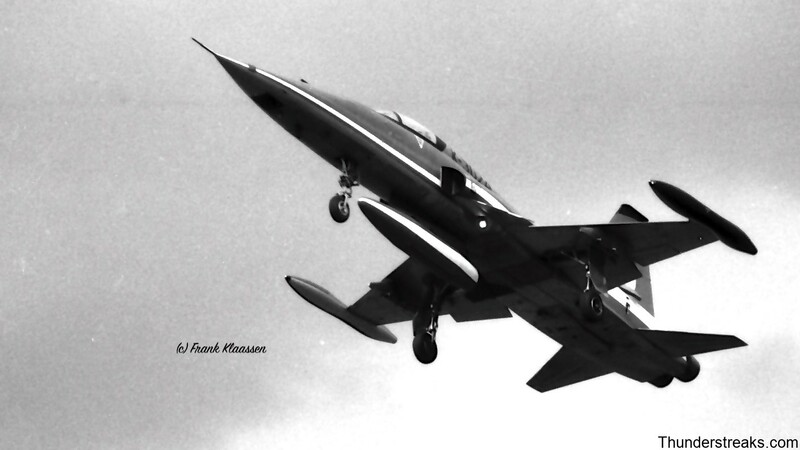 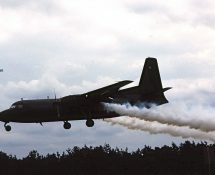 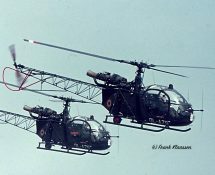 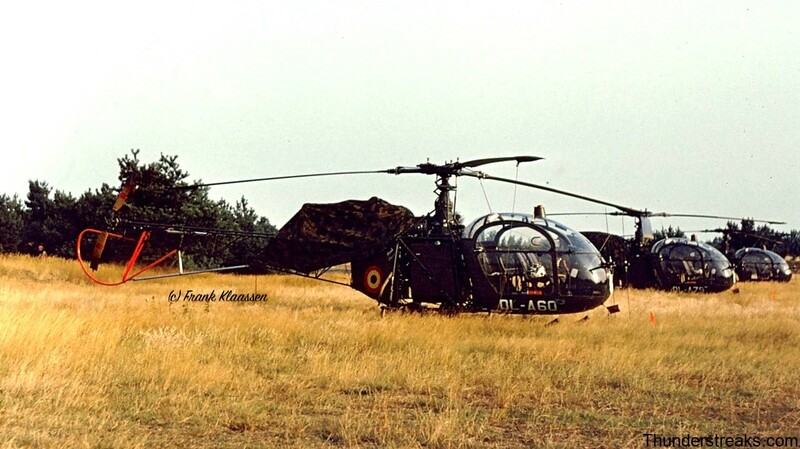 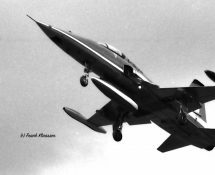 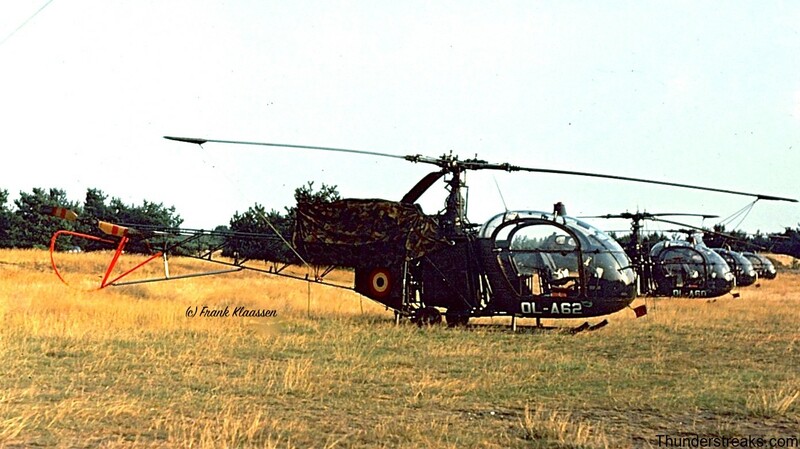 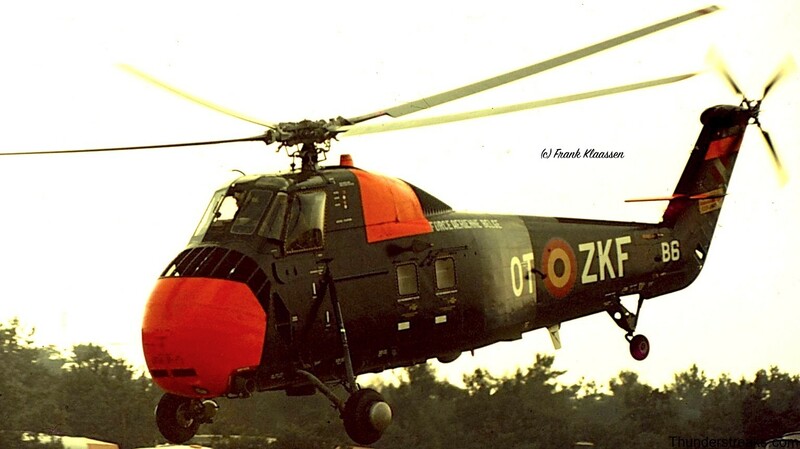 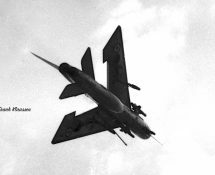 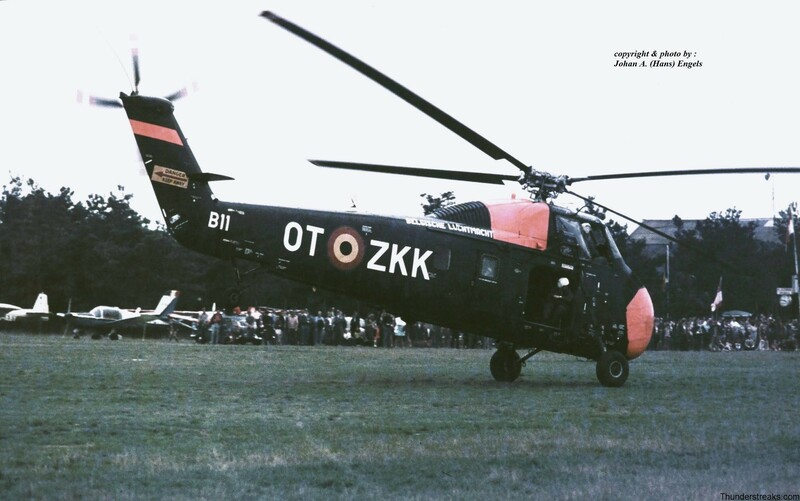 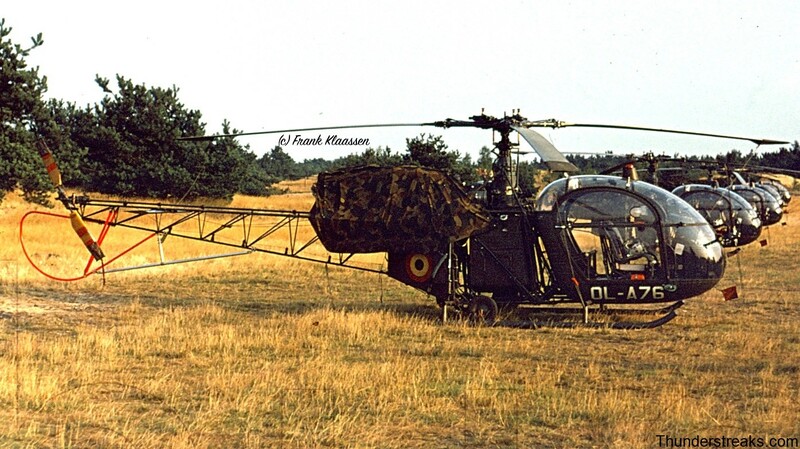 Hans: The 1971 edition featured a Belgian Air Force Sikorsky S-58 making several passes “nose-down” which was quite spectacular to see happening ! 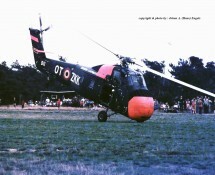 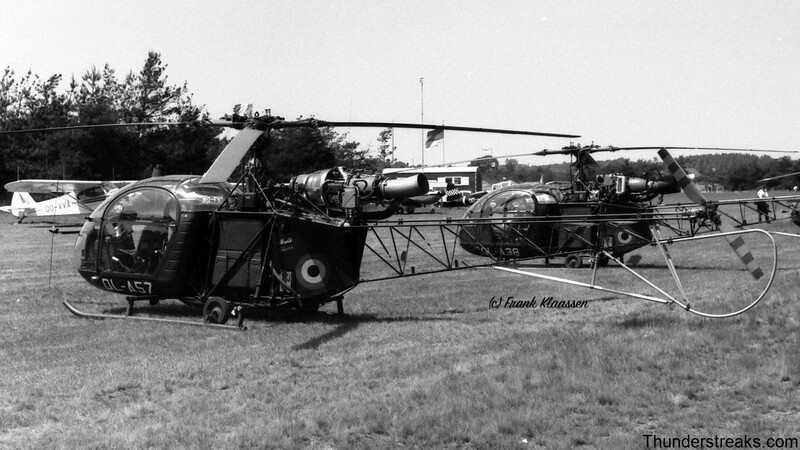 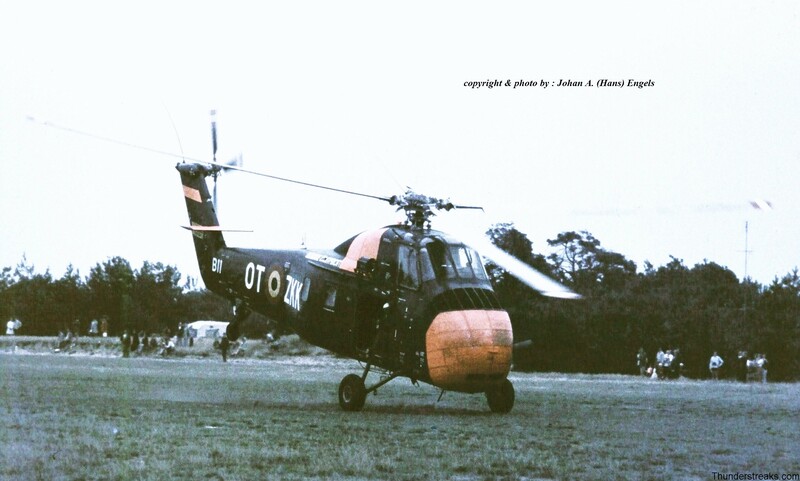 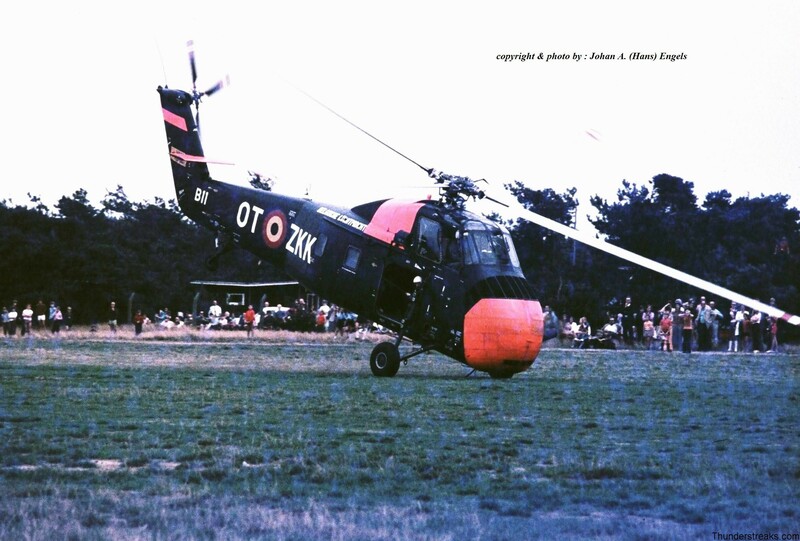 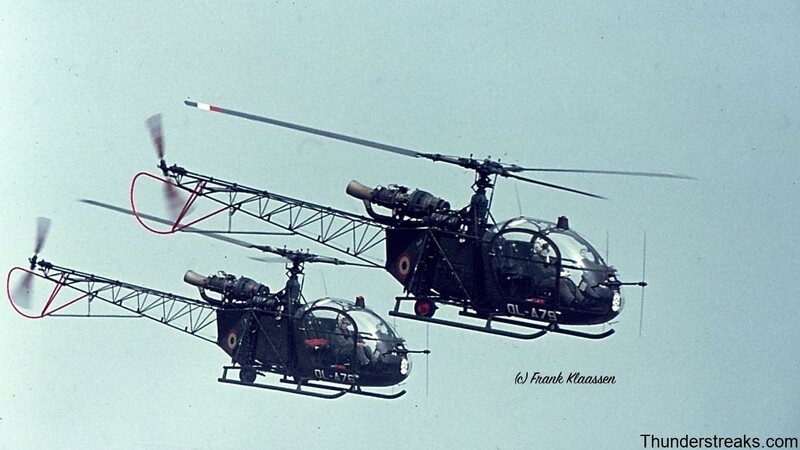 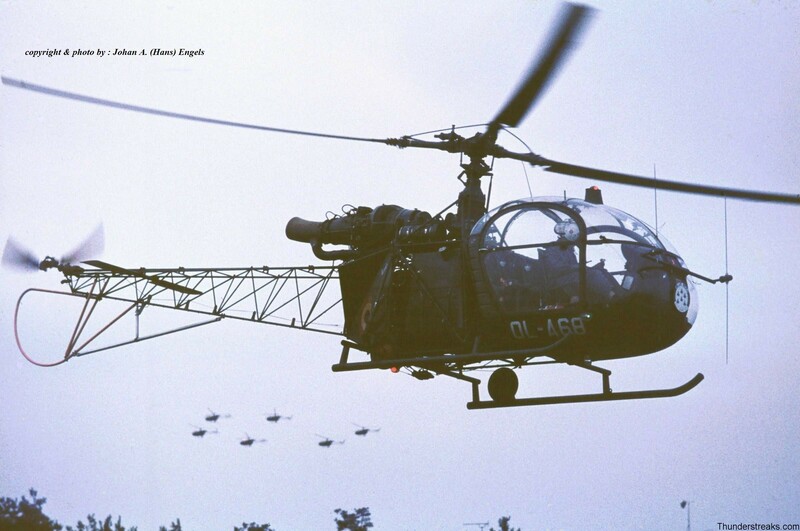 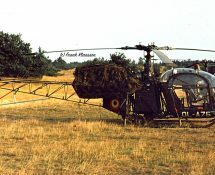 The Alouette II equipped demoteam The Blue Bees also gave a show on that memorable 29th of August.